Technical diving has evolved a long way in the last decade. New techniques, information and equipment have now made it possible dives that where not possible years ago. With these new technologies proper application and training is paramount. 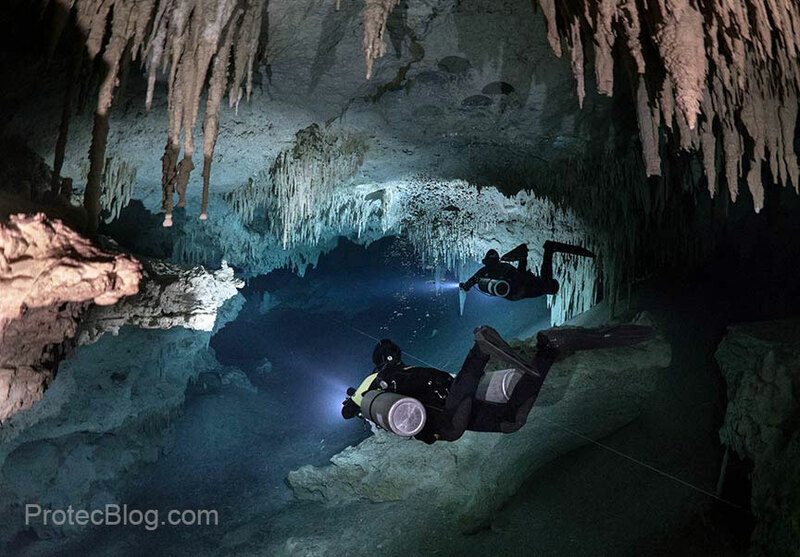 Technical diving can be used to either extend bottom times or reach deeper areas of interest such as caves or wrecks. The ProTec Dive Center & Advanced Training Facility Team has evolved with these changes by the constant training of our own staff, and most importantly our staff of divers have worked hard to bring our customers the cutting edge of diving information. Members of our staff are responsible for many of the positive changes in technical diving in order to extend our knowledge to either guided technical dives to almost any depth or training programs for technical diving. ProTec Advanced Training Facility offers almost every level of advanced and technical diving instruction from deep diver, decompression procedures, advanced nitrox, recreational trimix, advanced recreational trimix, normoxic trimix, advanced trimix, hypoxic trimix, nitrox gas blender, trimix gas blender as well as Dive Safety Officers or support divers for projects or commercial diving applications.